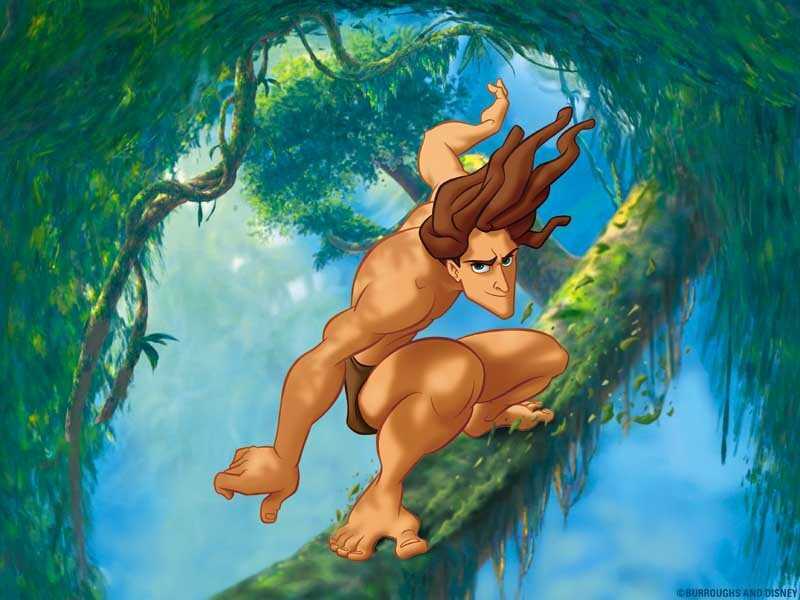 <insert Tarzan yell> Yes, this week was the beloved Tarzan movie. It is a great movie and Phil Collins has a way of tugging at heartstrings with his music. There are lots of fruits shown in Tarzan but, sadly, there weren’t any recipes shown in this film that you couldn’t have gleamed from Jungle Book (including ants). But don’t you fear Disney Mealers, we came up with a recipe for you guys anyway. Based on the geography of Tarzan, one can conclude that the movie takes place somewhere around current Gabon in West Africa. So I took one of the foods shown in the movie (bananas) and found an authentic Gabonese dish to make. 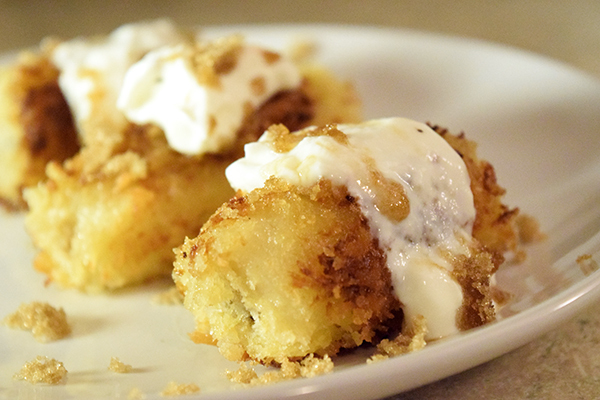 Turns out that they have a fried/baked banana dessert. I LOVE fried bananas. I couldn’t pass this one up. Heat oil on medium high and fry the bananas until they are a golden brown all over. Place in the oven and bake for about 5 minutes. Will You Be In My Heart? The baked bananas were amazing. 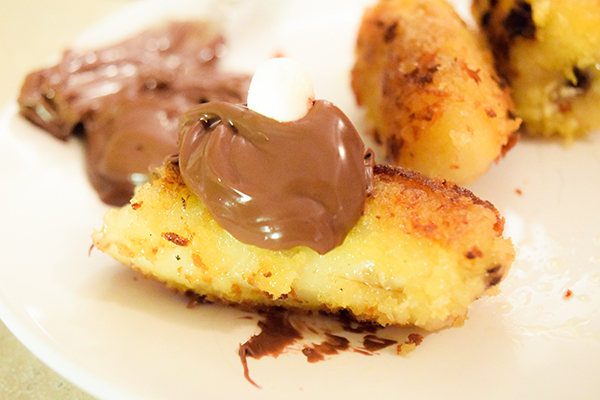 You can serve them with Nutella or sour cream as shown in the recipe. Here’s a picture of them with Nutella. This one soooooo needs to be made into one of those “Tasty” videos. Very cool. I wonder if I could bake plantains in a similar fashion…avoid the frying. I’ve actually been thinking of starting to make some video content. This would be a good start. And it would be interesting to try with plantains.